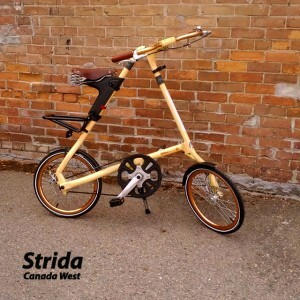 I love custom Strida Bikes. 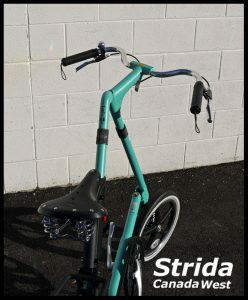 The Strida bike is already a unique bike but by adding a little customization a Strida bike can really rock. 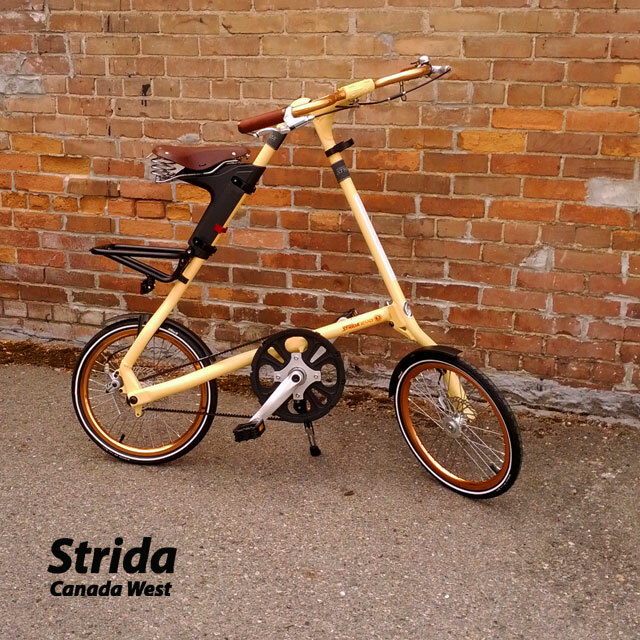 This post is intended to show what customization is possible and to display some of the custom Strida bikes I have built for customers. 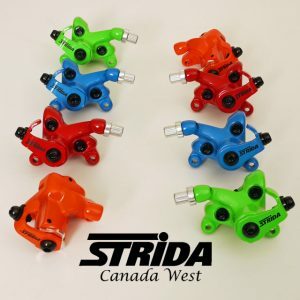 I hope these examples will inspire you to consider customizing your Strida ride using my large choice of Strida accessories. 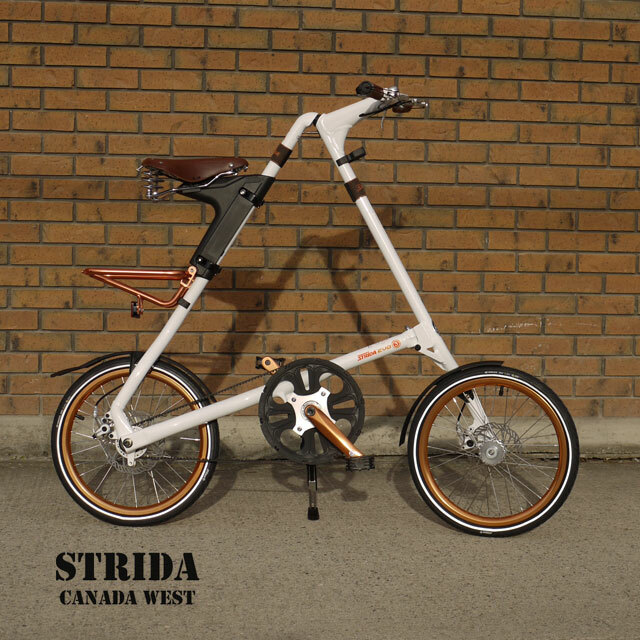 Strida bikes with standardized parts makes customizing the Strida very easy. The Strida wheels are interchangeable between the two sizes and different styles of rims. The handlebars are interchangeable, as are the seat mounts, rear racks and brake calipers. 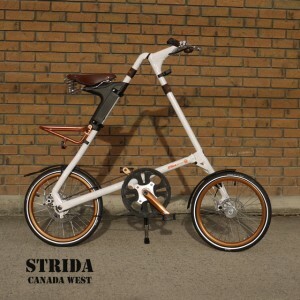 The seat tubes are also interchangeable, I haven’t built one yet but I can picture a two or three tone Strida, can you? When Strida introduced their copper accessories I immediately began using them to customize. 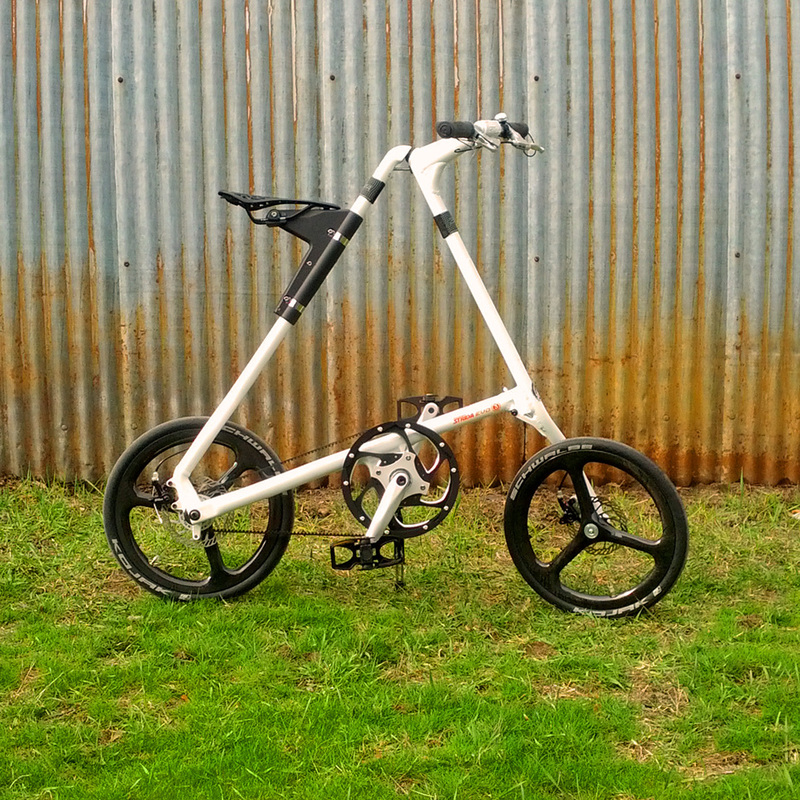 The photo above is a customized Strida EVO that I list here for sale. This white EVO includes copper finished wheels, crank arms, rear rack and handlebars. The brown leather Strida ergo grips and Strida leather saddle complement the copper accessories and white frame. 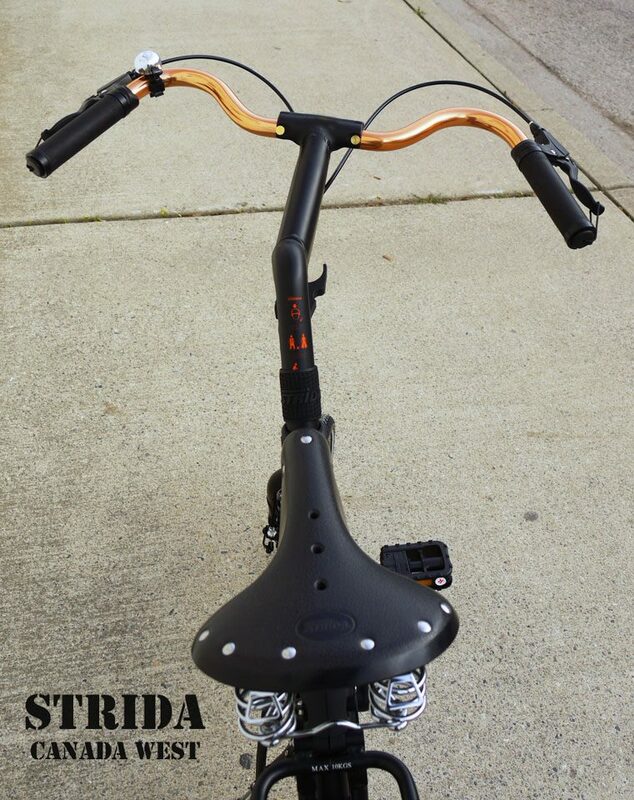 The Bronze Strida EVO also uses Strida copper accessories as a standard feature. Other variations I have built using the Strida copper accessories have been a Cream and Copper EVO and a Dark Olive Green and Copper EVO. 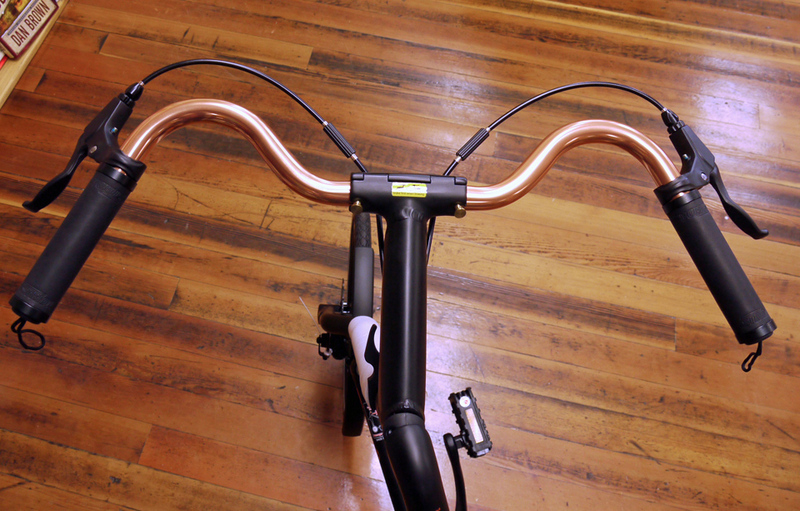 The copper accessories can look good with may other colours, here is an example of Copper M-Style Handlebars mounted on a Matte Black EVO. One of the best ways to turn heads when customizing your Strida is to add a set of 18 inch Strida Carbon Fiber wheels. These wheels can look really sick with or without the Strida fenders. 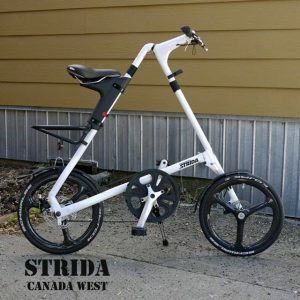 Which reminds me of one of the most effective and least expensive ways to customize your Strida, change the standard black fenders with one of the Strida’s choice of colourful fenders. 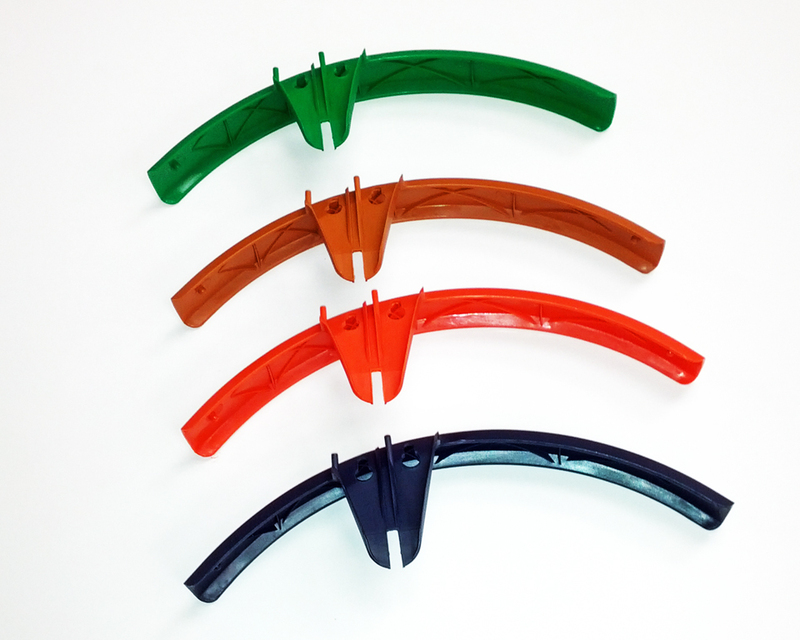 Optional colourful Strida fenders are only available in the 16 inch size. Other ways to customize your Strida EVO bike is by installing alloy beltwheels, I stock both red and black. 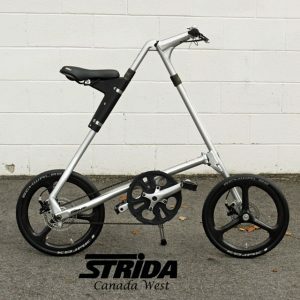 The Strida alloy beltwheel has less flex than the standard nylon beltwheel and they look great. For the single speed Strida bikes the standard crank set can be exchanged for an alloy crankset. I have them in stock in black, silver and blue. Strida rear racks also come in different colours, I stock, red, white, silver and bronze. 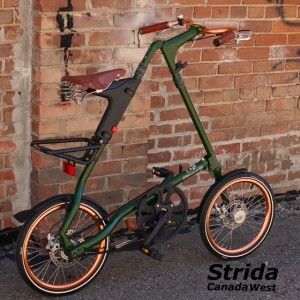 Another option for a custom rear rack is the Strida pannier rack with it’s attached tie down cord. Strida brake calipers are available in several colours. 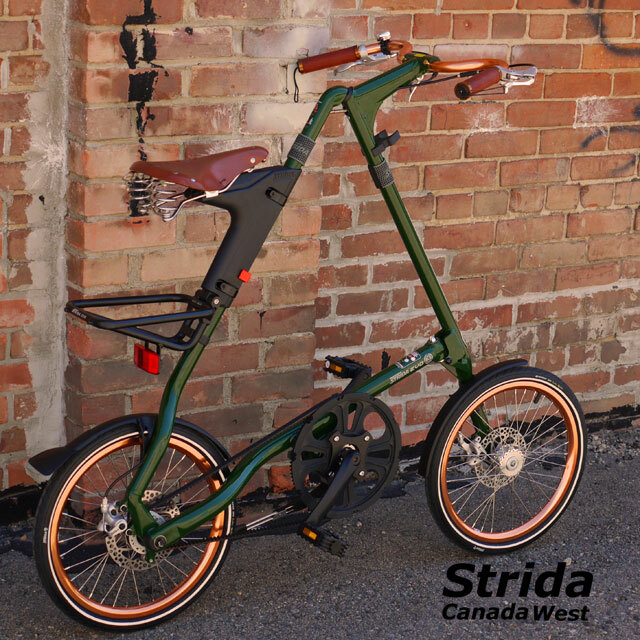 The green Strida brake calipers on a black Strida bike looks very good. Someday I would like to try the blue brake calipers and the blue Strida crankset on a Polished Aluminum Strida single speed bike. My first custom Strida bike used red accents on a black Strida EVO bike. 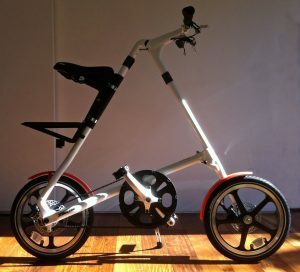 I did this by ordering from Strida a black EVO fittted with red brake calipers and red brake cable housings. I also ordered red Strida frame protectors. 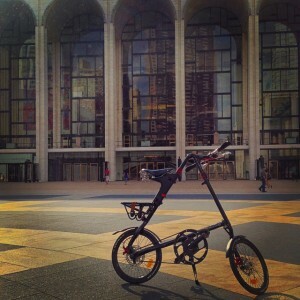 The first owner of one of these bikes was David in NYC, he helped me name this custom Strida bike, The Manhattan Special. 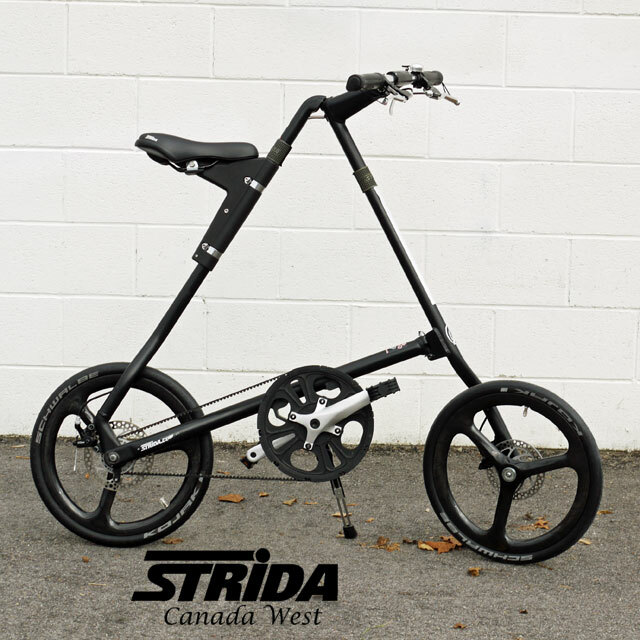 This Strida also included a black leather saddle, black leather ergo grips, black alloy beltwheel, black alloy pedals and a pannier rear rack. Here are photos of other custom Strida bikes that I have built for customers. Hi Bill. Thanks for sending my order rapidly. 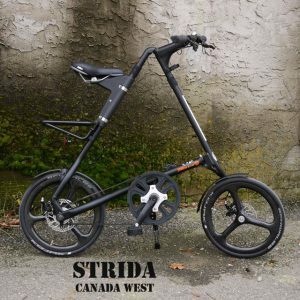 About customizing, and I am sure you have allready had same comment, has engineering had any thought for an upgrading kit modifying Strida 5 to a three gear Strida? Thank you Guy, to upgrade a single speed Strida to a three speed the bottom tube would need to be replaced as well as the adding the KS3 internal gearbox. The costs of these parts including shipping costs may not make this a practical solution. Another consideration is that with the introduction of the EVO Strida updated and reinforced the Strida frame. If may not be a good idea to add the extra weight and stress to a earlier Strida frame. 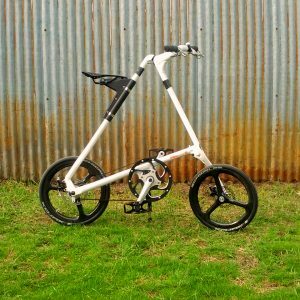 I have had customers who have upgraded by selling their single speed Strida and buying a new EVO. 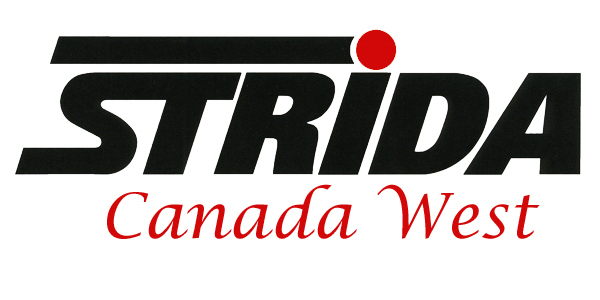 Depending on where you are there is a good market for used Strida bikes.